Intel just dropped a bunch of news about its first smartphone platform partners and their respective products, followed by more news about Ultrabooks. 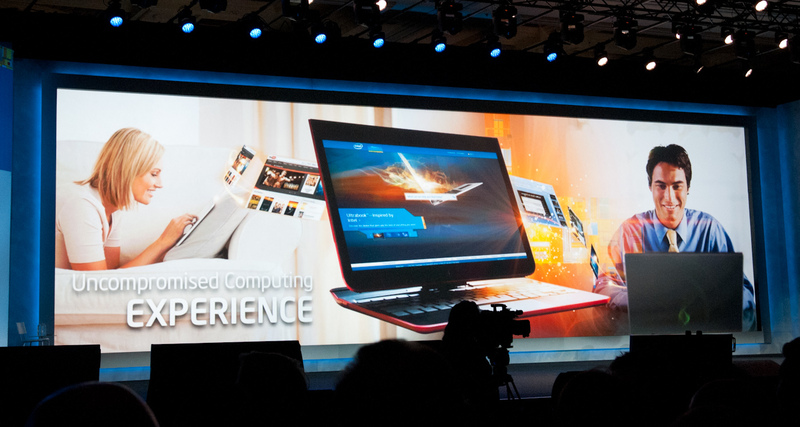 Intel showed off its Ivy Bridge Ultrabook reference design, which folds and transforms from a traditional notebook form factor, to a picture-frame like platform for multimedia consumption, to a tablet. 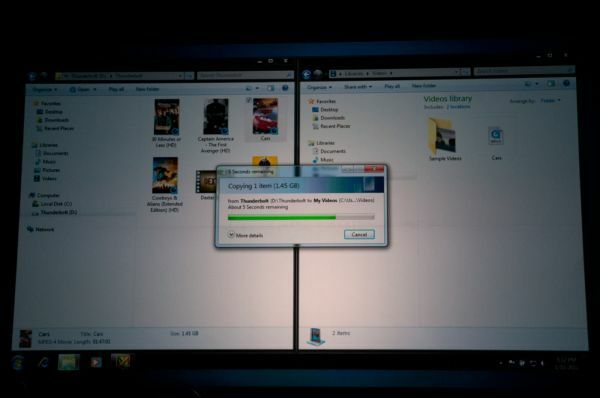 Working Thunderbolt was shown off on the ultrabook reference design, transferring a bunch of movies and files to a Promise external Thunderbolt device. 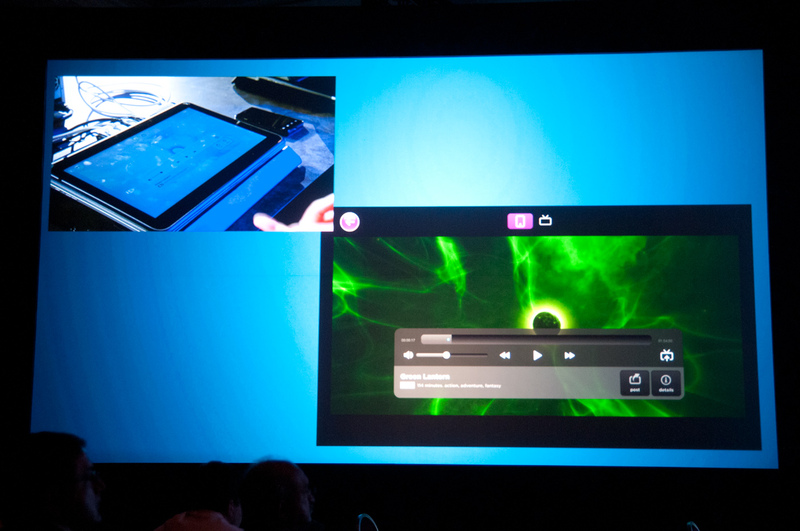 Next up was a demo with Intel's AppUp store which aims to be a one-stop shop for PC software, and then M-GO, which is a movie and TV show marketplace component of AppUp. The process of purchasing a movie, paying with an NFC-enabled smartphone, and then playing back the move on an LG WiFi display was demoed on-stage.